My name is Richard C. Arceneaux, Sr. I have been in the ministry a total of 40 having been licensed in 1971 and ordained in 1975. My education in the counseling field was done at Therapon Institute, New Orleans, LA. My general education was accomplished through Emmaus Bible College, New Orleans Theological Seminary, and Koinonia Bible College, all in the Greater New Orleans area. I have a total of 100 actual classroom hours of training and am recertified annually to keep up my certifications. I am also a life member of United Association of Christian Counselors as well as a member in good standing with Association of Biblical Counselors. That membership is renewed annually. I am 66 years old and am presently living in Meadville, Mississippi where I am the pastor of Outreach Ministries For the Lord Chapel. I am Southern Baptist but do not have the word “Baptist” in our church name so that everyone will feel welcome regardless of their religious background. I maintain an office in my home as well as at the church. I am married to a wonderful woman who supports my ministry 100%. I believe that a minister’s job is only as easy as his mate allows it to be and mine supports my ministry in that manner. This is my second marriage. 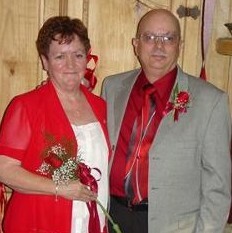 My first wife and I were married 36 years when she passed on in 2006. We lost our 20 year-old son in 1991 in a boating accident and, as a result, I became the New Orleans chapter leader of Compassionate Friends, a support group of parents who have lost children. In that capacity, I was able to counsel folks who had lost children. I have also written three books (not published yet-in the process)dealing with the death of children. I believe that my expertise in the counseling field is heightened because of my compassion and desire to help others through Christ to find comfort and answers to their everyday problems. or by phone at 601-807-1755 (cell) or 601-384-3170 (office) or 601-532-7007 (church). I would like more information on becoming part of this network. Nice to hear from you…Counselors listed have read and agreed to the statement of faith listed on the site and incorporate biblical principles into their counseling practice. If this fits for you, you will need to send me a unique article of 250 to 500 words (i.e. not cut and pasted from your own site) and a professional looking JPG picture of yourself that I can upload to your page.